The King is back, on the banks of the river Seine. 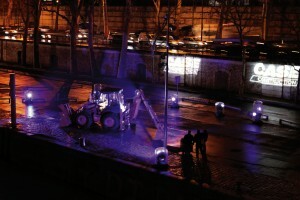 On the evening of December 16th, CASE chose the fabulous setting offered by the City of Lights to launch its new T-Series loader backhoes. Journalists from all over Europe attended a spectacular dinner cruise along the Seine, admiring the city’s legendary monuments before heading for an unforgettable grand finale: the unveiling of the new Construction King – accompanied by a music and light show right on the river’s bank in front of the French National Library. On the following day, the new product lineup was presented at the CASE Customer Centre, whose first class facilities allowed the CASE team to illustrate the latest technological breakthroughs of the T-Series, well summarized by the “10-20-30” statement: 10% lower fuel consumption, a 20% improvement in loader productivity and a 30 cm reduction in transport height. 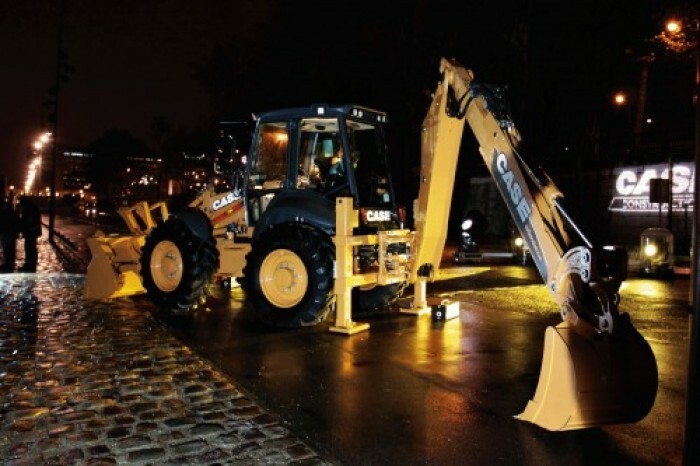 Given the long history of the CASE loader backhoe – dating back to the 1957 “Construction King” – the excitement for the new features of the T-Series came together with a host of fond memories. Following a welcome speech given by Henrik Starup, Vice President, CNH Construction Equipment Europe, Michael Unrein, Senior Director of Global Product Marketing for Light Equipment, talked about the vast heritage embodied by the loader backhoe and by the CASE brand. At the very beginning of this long adventure stands Elton B. Long, the inventor of the Construction King. His daughter, Stephanie Mill, joined the speakers to remember the ingenuity and drive of her father. Vouching for the quality of the product was Philip Comte, the owner of more than ten CASE loader backhoes, whose reliability on any building site he conveyed by means of many personal examples. 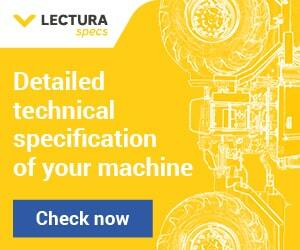 On the Centre’s testing ground, the new loader backhoes engaged in practical demonstrations of their features, explained to the audiance by Alain de Nanteuil, European Product Marketing Light Equipment. The press was then invited to walk around the machines and try them first-hand, this was followed by lunch in the Centre’s museum which gave everyone the opportunity to share stories, experiences and emotions.